The aim of the campaign was to reduce the incidence of sanitary items and other sewage related debris (SRD) on UK beaches and riverbanks through a programme of promotion, education and partnership. It sought to raise awareness of the problems of SRD and to encourage people to dispose of personal waste carefully, whether in their own household waste bins or in special disposal bins in public toilets. The awareness campaign was particularly focused on women between the ages of 15-45, asking them not to flush products down the toilet but to bag them and bin them instead. In 2002 a schools campaign was launched across 6000 UK schools. A variety of campaign materials were produced, including the Bag it and Bin it logo, leaflets, posters, and stickers. As part of the campaign, manufacturers and retailers were encouraged to apply the logo and/or message to their products. In 2007 and 2008, the MCS and Surfers Against Sewage focused the Bag it and Bin it campaign on cotton bud sticks, to encourage manufacturers and retailers to improve labelling of these products and to replace the plastic cotton bud stick with a paper one. Extensive media coverage accompanied this. 1995, Leedex, a public relations company, ran the campaign from 1996-1998.In July 2000 the UK Centre for Economic and Environmental Development (UK CEED) took over. The campaign was launched following discussions between South West Water, the Marine Conservation Society, Surfers Against Sewage and other organisations concerned about SRD in the water environment. Yes, for first 7 years of the campaign, but unable to identify the funding source. The campaign received support from leading retailers (Tesco, Sainsbury’s, Safeway, Morrison’s, Somerfield, ASDA, Co-op, Superdrug, and Boots) and key manufacturers (e.g., Johnson & Johnson, and Smith & Nephew),who included the campaign logo and/or the correct disposal messages on products that consumers might flush. The logo was printed on over 100,000 toilet stickers, 700,000 disposal units, 45 million products, and packaging for 80 million disposal bags. The campaign also received significant press coverage, with over 700 media features. The 2007-2008 focus on cotton bud sticks led to agreements from The Body Shop, The Co-op, Marks and Spencer, Asda, and Tesco to endorse the logo on their cotton bud products, and commitments from some of these retailers to produce cotton bud sticks with paper stems. Results from the 2007 MCS Beachwatch event marked a decrease in the number of cotton bud sticks observed on UK beaches, from 172 items/km in 2006 to 97.5 items/km in 2007. 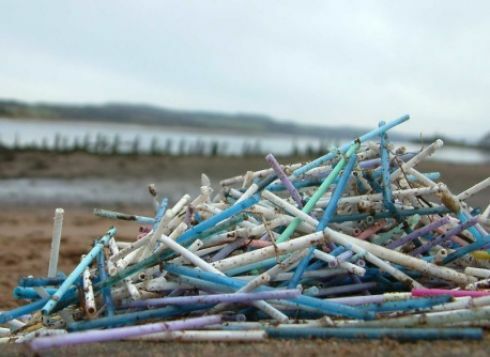 Overall, the quantity of cotton bud sticks and SRD on UK beaches declined when the national campaign was running (and following times of extensive publicity), and started to rise when national funding ceased in 2002. This indicates that well organized campaigns with consistent messaging over time can have a positive effect (Evaluation of the Effectiveness of Voluntary Measures in place to Raise Awareness of Non-Agricultural Diffuse Pollution Summary Report, Defra, 2006).